I rarely met people posting or talking about Capiz. Of all the provinces in Panay, it seems to be the least favorite. Even my friends told me there was nothing else to do there beside eating seafood. The remarks lingered on my head that was why everytime I heard about Capiz, the place didn’t excite me in any way. On a recent trip with the Tourism Promotions Board, I was thinking of what I could do in Capiz during my three-day stay. Since the airport is in Roxas City, I thought of going to Gigantes Island, the most famous tourist spot closest to the airport. When we arrived in Capiz, though, I was surprised to discover exciting developments happening around. 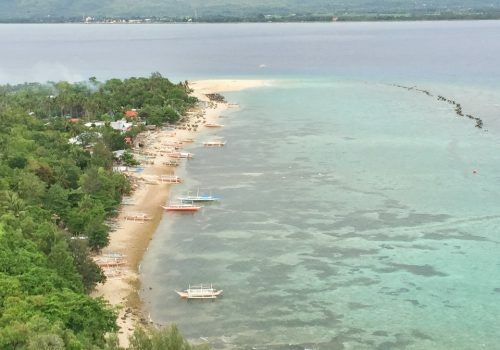 It’s starting to make its own mark in the world of tourism and is catching up with its neighboring provinces, Aklan and Iloilo. Apparently, Capiz has many fascinating tourist attractions and offbeat places that adventurous people can go to. 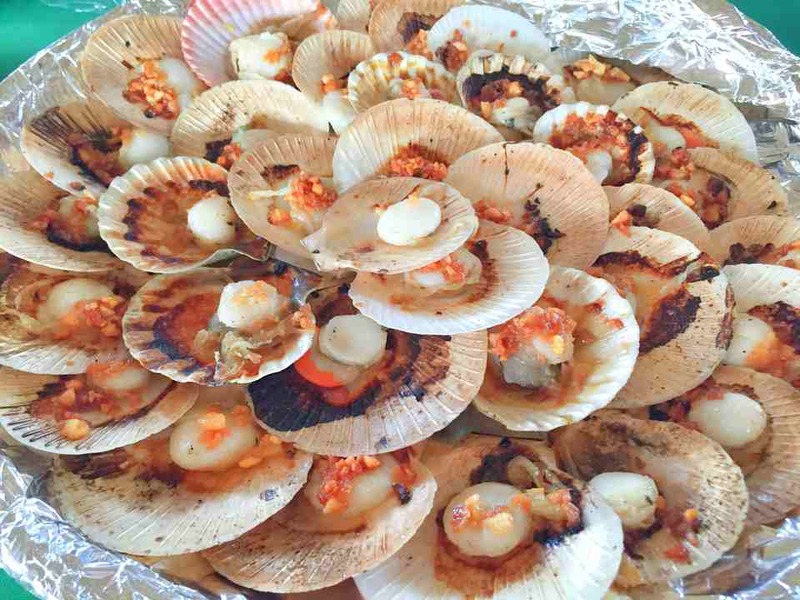 If you are planning to visit the Seafood Capital of the Philippines, here is a sample guide. Where to Stay in Capiz? 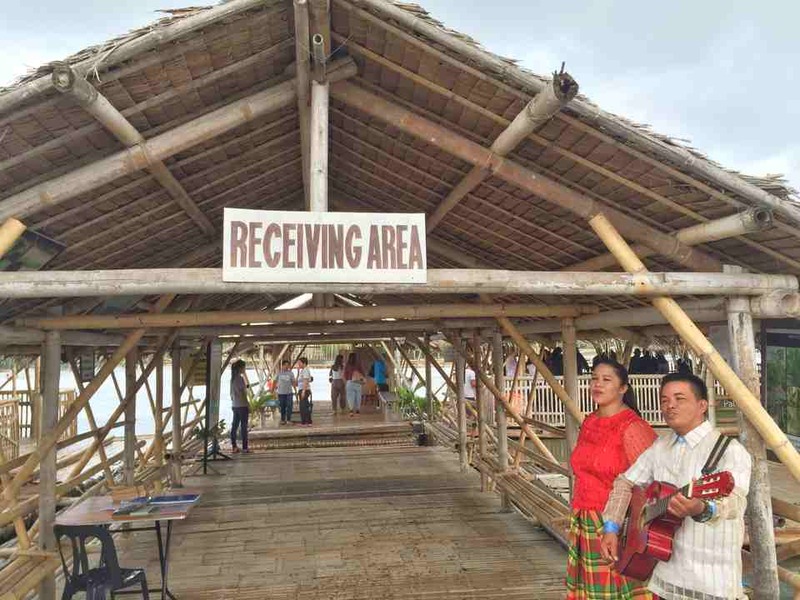 We spent three days and two nights at Hotel Veronica, one of the establishments now standing at Pueblo de Panay–the largest township development in the Visayas Region of the Philippines and the center for economic and social progress of Capiz. 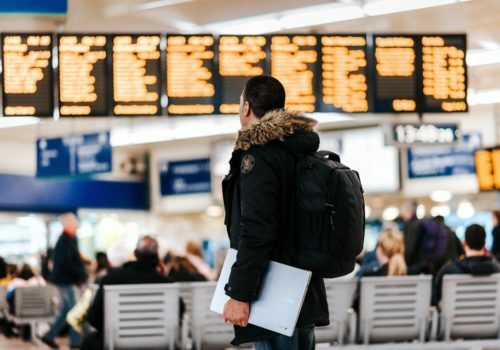 You’ll find the hotel strategically located to almost everything you need. It is situated right across from a mall. A spa, drugstore, and bank are also nearby. Hotel Veronica is a boutique hotel that is considered the best accommodation in the city for people traveling for business, pleasure. I got the presidential suite, the grandest room they have. One of its advantages is, it’s next to the pool area. The room has a living space, a spacious bedroom with a comfortable bed, and a bathroom with a tub. WiFi signal is strong. 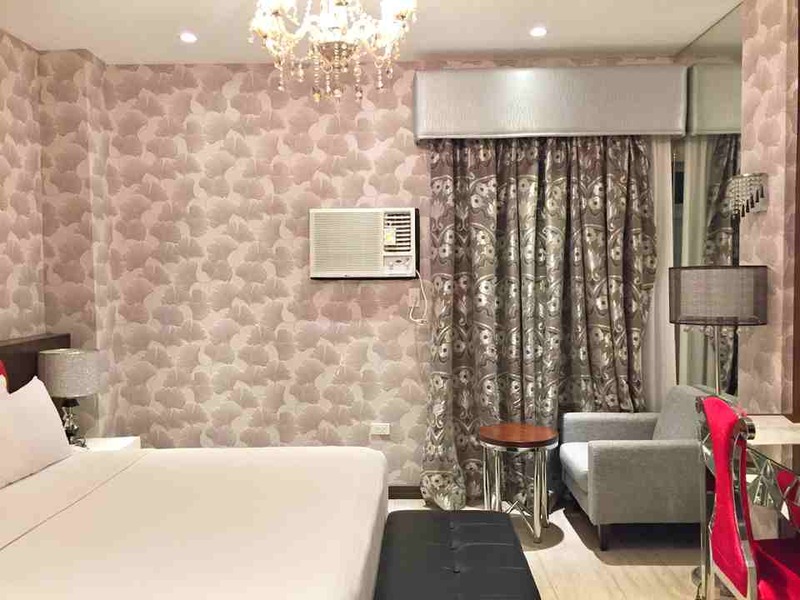 Overall, the hotel has everything you need to survive in Roxas City! When in the seafood capital of the Philippines, top of mind is to eat, well, seafood–that’s a no brainer. Forget about pork, chicken and beef. 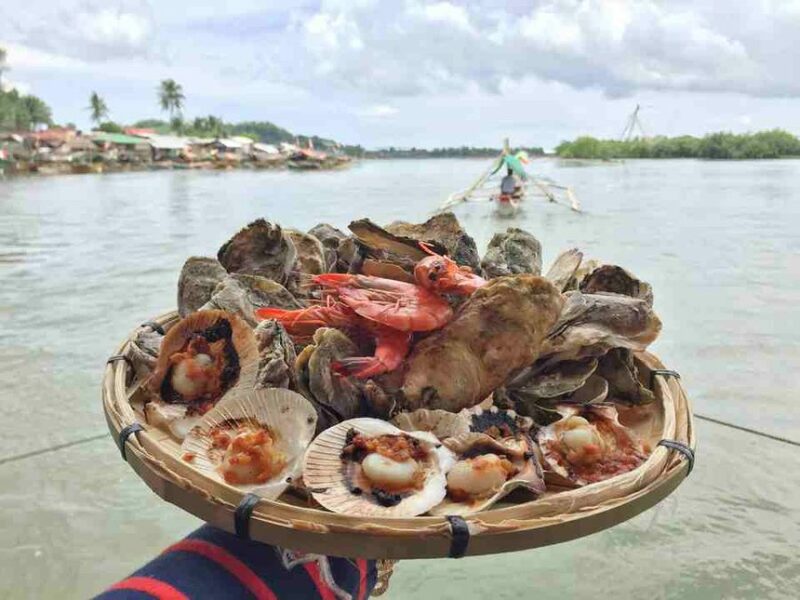 When in Capiz, look for the freshest seafood that can be found in the country. There are many kinds of fish to choose from. Eat oysters, shrimp and scallops. Name the seafood, Capiz has it! Want to eat lunch while enjoying a river cruise? Why not? 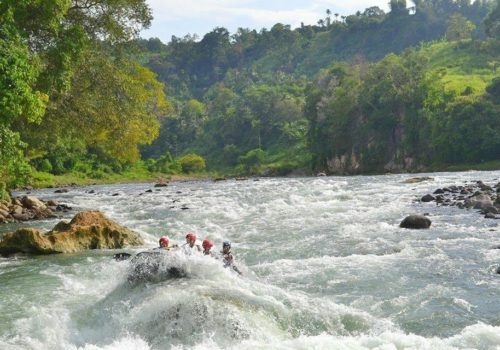 Palina River in Cagay is located just a few miles from Roxas City. That’s where I savored a sumptuous lunch at a floating restaurant made of bamboo while enjoying the scenery of Palina. 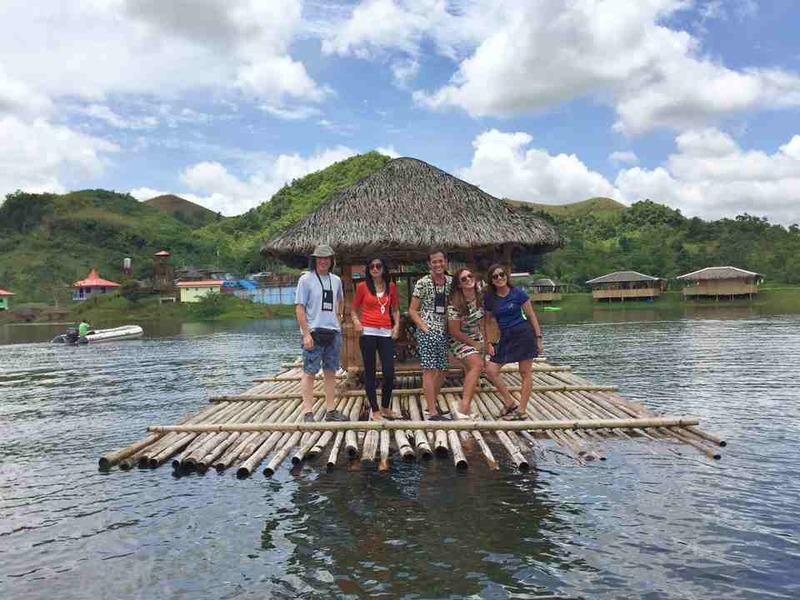 It was different from my Loboc river cruise experience. In Palina, I marveled at refreshing views of mangrove trees and fishponds, and the eye-opening scenes of the locals’ daily lives. Members of the staff were accommodating. A duo was serenading us with local songs while we were feasting on good food. Oh, how I loved the scallops, oysters, and crabs. They surely couldn’t get any fresher there. After lunch, you can have a massage. 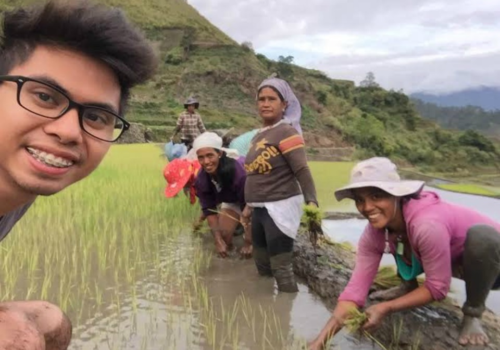 Palina Greenbelt Ecopark is an ASEAN sustainable tourism awardee in 2018 and the grand winner in the search for the community-based responsible tourism enterprise in 2016. 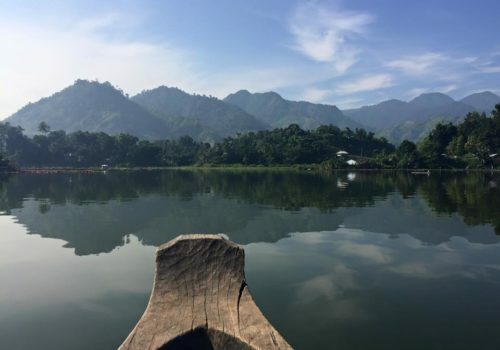 Make reservations ahead of time since are bamboo rafts are limited and they can all get booked during peak season. For inquiries and reservations, call or text 09463195772 or 09106097475. Perched on a hilltop, Cafe Terraza is the only overlooking dining place in Roxas City. It is also located at Pueblo de Panay. I recommend it for breakfast, so you can enjoy the early morning air. 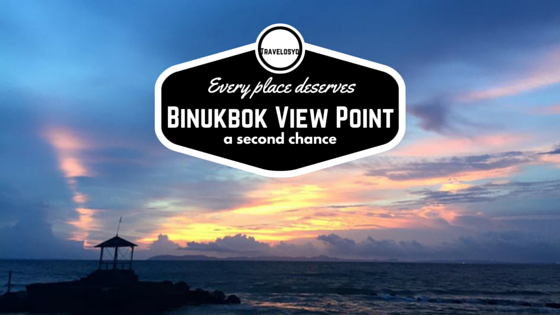 Or you can go there just before the sun sets to see an amazing view of Roxas City at dusk until it gets dark. 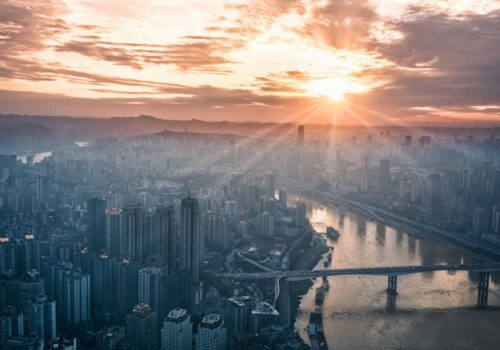 You will enjoy watching city lights. Cafe Terraza is known for serving palatable Filipino and international dishes that use seafood. Complete your Roxas trip by having a dining experience here. Look for Ivisan Oyster in case you will dine at any seafood restaurant in Capiz. I tasted a lot of oysters around the Philippines, but the ones offered at Ivisan are the best. Taste it to believe it. Never ever leave Roxas without buying pasalubong at Spanggo Foods Café & Pasalubong Center. Best buko pie ever! Thinking of the first thing you’ll do in Roxas City? 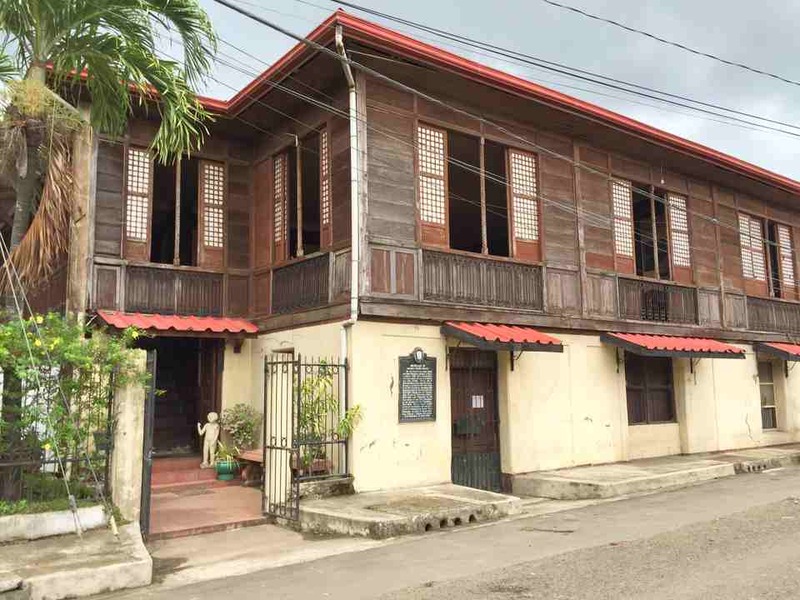 Try visiting the ancestral house of the last president of the Philippine Commonwealth. The 100-peso bill features him. Having that said, it’s worth the effort to look into the life of one of the most significant people in Philippine history. It is a well-preserved house with period furniture. Here you will see the bedroom where President Roxas was born. There is a private dining room in the kitchen area and a grander, formal dining area in the main room. 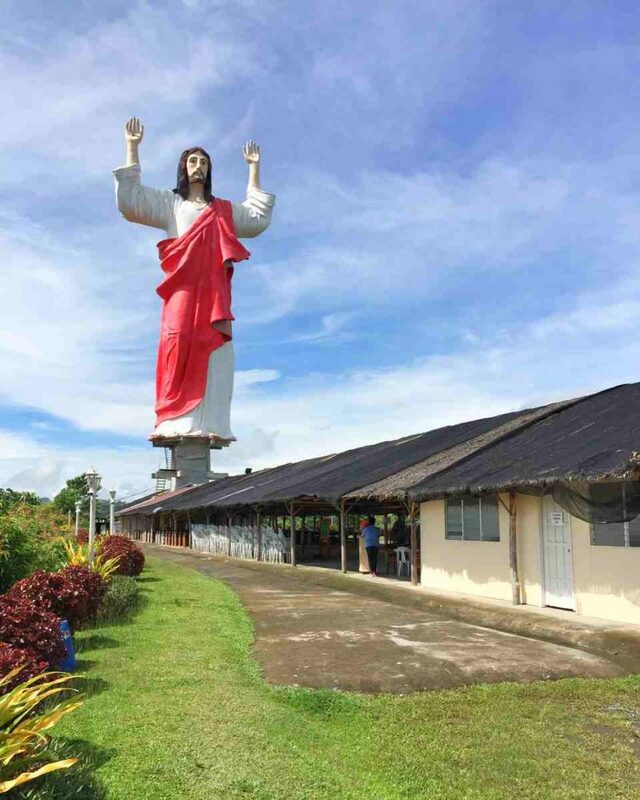 Sacred Heart of Jesus in Roxas is considered as the tallest in Asia with a height of 132 ft. The area is one of the highest points in Roxas, and the way leading up is still a rough road. Here you will see an open church, souvenir shop and a magnificent view of the city, the ocean, mountains and rice field. 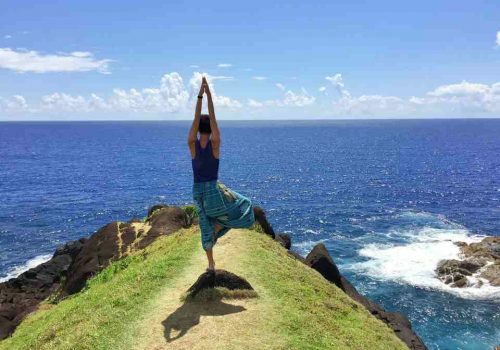 This is one of the must-see places where you can lay your eyes upon the raw beauty of Roxas. 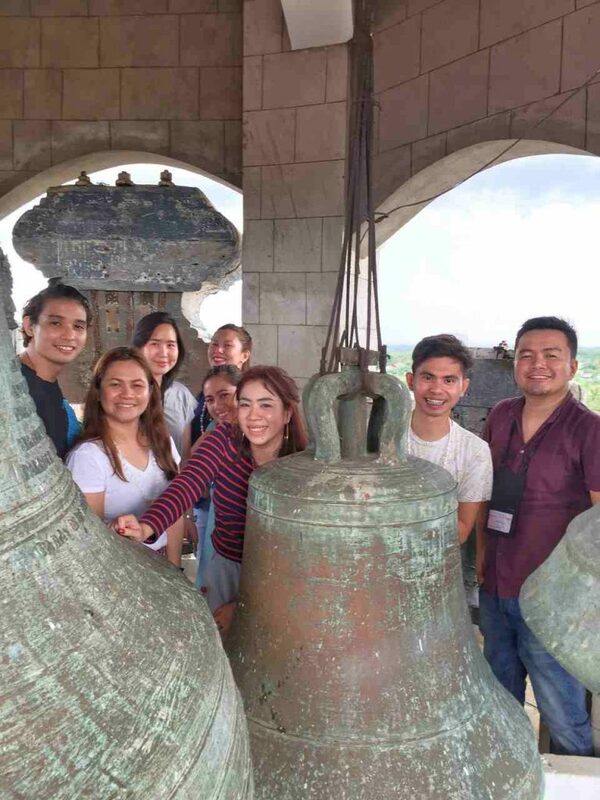 Panay Church, a 17th Century church, is home to Asia’s largest church bell. It weighs 10.4 tons. It is 7 feet wide and 5 feet tall. It was made from 70 sacks of silver and bronze coins donated by the people of the historic town of Pan-ay. Ask your guide about from which angle you can stand between for a photograph. If you stand between two bells, the result will look like you are in a heart-shaped frame. What surprised me during my trip was the serene Marugo Lake in Tapaz, Capiz. It is located approximately 2 hours from the city. The place is perfect for people looking for a peaceful place to relax and enjoy the calming view of the lake. Don’t forget to rent a speedboat to tour around and visit the hidden falls. My three-day-and-two-night visit in Capiz wasn’t enough to explore everything the province could offer. But I was able to cover a lot–commune with nature, visit historical sites, and eat a lot of seafood. There are more things to do in the province, and I admit that I was wrong to think that there wasn’t anything to enjoy. I’m looking forward to visiting again and discovering more hidden gems. I would really love to be captured by its beauty all over again.